Welcome to the Michigan Barn Preservation Network, a volunteer-based, statewide nonprofit dedicated to promoting appreciation, preservation, and rehabilitation of Michigan barns, farmsteads, and rural communities. We are committed to the rehabilitation of barns for agricultural, commercial, public, and residential uses. Adapted re-use is a significant strategy for barn preservation – all structures need a reason for being. 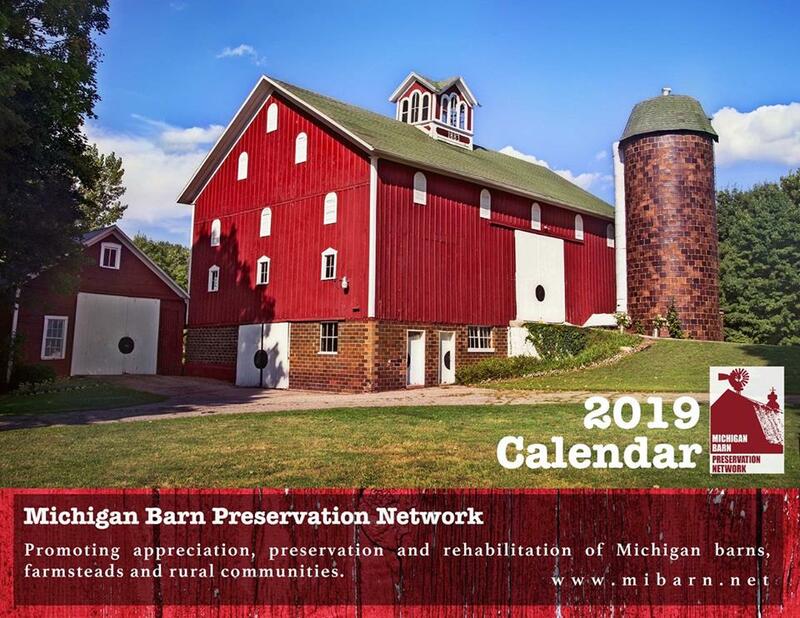 The MBPN Awards Committee will announce the 2019 Barn of the Year winners at the 24th Annual Conference on June 1 in Ypsilanti. 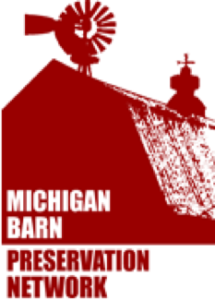 The program annually honors existing Michigan barns that exemplify outstanding character in our state. Over the past two decades, a total of 74 barns from across Michigan have been recognized for their unique qualities and/or preservation efforts. 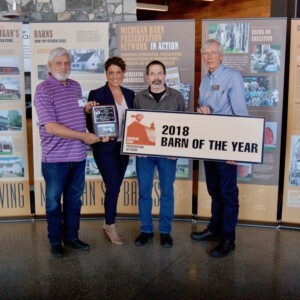 The Barn of the Year Award seeks to capture the public’s attention by recognizing barns that have been saved and to inspire others to become barn stewards. Twelve restored Michigan barns are presented as inspiration and encouragement for regular maintenance, rehabilitation and restoration. The calendar is distributed free by mail to all members of the MBPN. Additional copies are available for a $5.00 postage and handling fee. Contact Jim Mulvany via email at mulvanyjamese@gmail.com or via U. S. Mail at 444 High Point Drive, #6, Mason, Michigan 48854. Please make checks payable to MBPN. MBPN fosters the sharing of barn experiences and resources with this website and through educational events, recognition programs, connections and collaboration. Mission: Promoting Appreciation, Preservation and Rehabilitation of Michigan Barns, Farmsteads and Rural Communities since 1995.